26 August 2017 (10 a.m.). Throughout my academic career, I chided and joked with my students that if they cited Wikipedia in their footnotes or as sources in their coursework or dissertations, they would lose 10 per cent marks for each citation. If you were to look at the entry for Thomas Southwell on Wikipedia – well, at least during this past week, for Wikipedia entries change constantly – you would find a mere nine lines of text, no more than 254 words, and no references to his role in bringing the Palatines to Rathkeale as religious refugees. You would be forgiven for thinking that all that was important about his life were the titles he held, his brief time in prison during the reign of James, and some genealogical details that tell us nothing about his life and character, and tell us nothing about his family and legacy. In the title of this presentation, I have referred to Southwell and his family, because this morning I want to put him within the context of Rathkeale local history and identity, and to ask some interesting implications of the legacy he has left, not only through the descendants of the Palatines he welcomed onto his estate, but also in his descendants and their religious activities. So, this morning, I want to say something first of all about his family background; then to sketch a more rounded biographical report of this man; then look at what happened to later generations of his family; and finally look at the significance of the family that once gave sanctuary to Palatine refugees becoming Roman Catholics. One of the failings and shortcomings of popular approaches to genealogy in the past has been a concentration on primogeniture, tracing ancestry back through a direct male line. When it came to compiling their genealogy for the peerages, the Southwell or Sewell developed a family tree that fits neatly into the genres of the time. Although the family had middle-class merchant and political origins in Essex, the family tried to claim its origins could be traced to Southwell, now a cathedral town in Nottinghamshire. The town is known for its cathedral, as the place where the Bramley apple was first seeded, and as the place where Lord Byron spent his holidays with his mother while he was at Harrow and Cambridge. It is about 25 km north-east of Nottingham, but there is no more evidence to suggest that this particular Southwell is the ancestral home of this Southwell family than it is the ancestral home of Robin Hood or Maid Marion. To boost their genealogical egos, the Southwell family also threw in an heroic mediaeval ancestor who owned a castle in Bordeaux, who rescued the king’s cousin, and later genealogists added embellishments that are found in similar family trees in the Tudor era for families that felt a need to enhance their lineage and find antique origins. There is no verifiable, impartial evidence to connect the family that was spread throughout East Anglia in the reign of Henry VI with the small town in Nottinghamshire, and even when the claims are pushed, there are so many gaps between generations in the peerages of the 18th and 19th centuries, that they are impossible to verify or trust. The earliest known ancestor of the family may be John South Southwell of Felix Hall, Essex, MP for Lewes in 1450, although even here I am uncertain about the direct line of ancestry and descent. We can be sure that this family profited considerably from the dissolution of the monasteries during the reign of Henry VIII, buying large estates and becoming minor gentry. It is ironic, then, that one of the better-known members of this family is Saint Robert Southwell (1561-1595), the poet and Jesuit martyr who was hung, drawn and quartered on Tyburn Hill at the age of 33. But even here, the peerages are confused. The Southwells of Rathkeale claimed that this Robert Southwell was a brother of Edmund Southwell who first came to live at Castle Mattress in the early 17th century. But there are conflicting genealogies, and they distract us from the how rooted Thomas Southwell was in this area and in this region. If we pursue genealogy only through lines of male primogeniture we often end up with myths and fables, and lose context and relevance. Castle Matrix was built as a fortress during the early 1400s by FitzGerald, 7th Earl of Desmond. In the early 1600s the castle was granted to the Southwell family who converted it to a manor house. But this alone does not account for how deeply rooted Thomas Southwell was in this part of Ireland. His father, Richard Southwell, MP for Askeaton (1661-1666), died in 1680 during the lifetime of his own father and while Thomas was in his teens; and his grandfather, Sir Thomas Southwell, a former Cromwellian who became a baronet after the restoration, died a year later in 1681. Young Thomas was still in his teens when he inherited his grandfather’s title of baronet and became Sir Thomas Southwell. He was made a ward of his cousin, Sir Robert Southwell, and was sent to Christ Church Oxford at the end of that year. But the key family member and single most influential figure in in his life may have been his mother, Lady Elizabeth O’Brien, a daughter of Murrough O'Brien, 1st Earl of Inchiquin, one of the enigmatic figures in 17th century Irish history. Thomas Southwell’s maternal grandfather, Murrough MacDermod O’Brien (1614-1674), 6th Baron Inchiquin and 1st Earl of Inchiquin, is known as Murchadh na dTóiteán, or ‘Murrough the Burner’, after his troops burned the cathedral on the Rock of Cashel. His family owned vast estates throughout Co Limerick and Co Clare. During the Irish Civil Wars in the 1640s, he was loyal to Charles I and fought against the Irish Confederates. 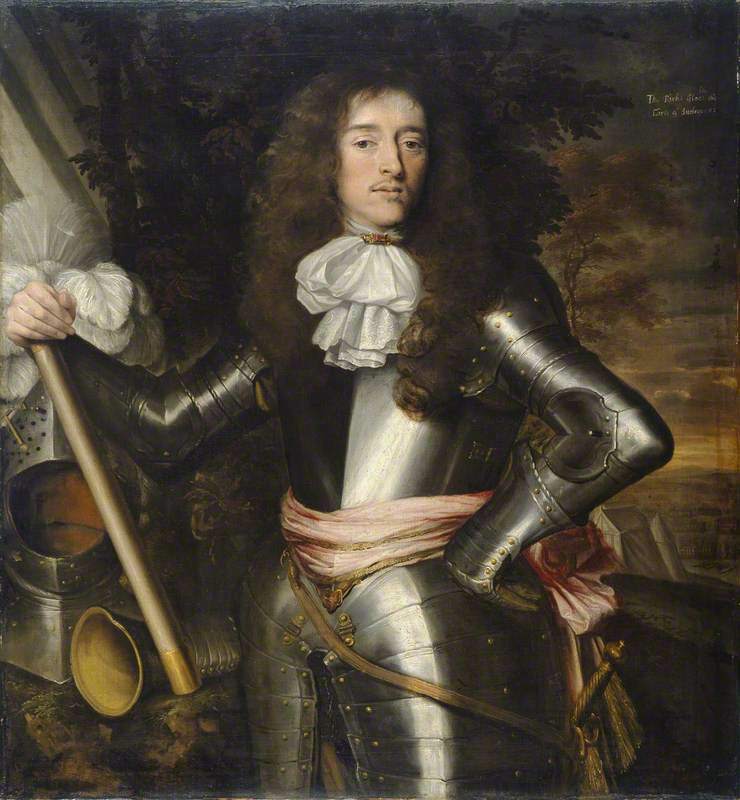 He became President of Munster, and gradually became the political and military master of the south of Ireland, and declared for Charles I in 1648. Following the execution of Charles I in 1649 and Cromwell’s subsequent arrival in Ireland, Murrough retreated to the west of the Shannon and then left Ireland for France in 1650, where he became one of close advisers of the exiled and future Charles II, who in 1654 made him Earl of Inchiquin. In 1656, he became a Roman Catholic. His sudden conversion caused an irreconcilable split with his devoutly Protestant wife, Elizabeth St Leger, and alienated him from the Duke of Ormond and his friends at court. He was taken prisoner by North African pirates in 1660, but he was ransomed, and returned to this part of Ireland, where his estates totalled 60,000 acres (240 sq km), including 39,961 acres in Clare, 1,138 in Limerick, 312 in Tipperary, and 15,565 in Cork. He lived quietly after 1663 and when he died on 9 September 1674 he was buried in Saint Mary’s Cathedral, Limerick. His grandson Thomas Southwell was then a nine-year-old. As a young woman in the exiled Caroline court in Paris, Lady Elizabeth O’Brien seems to have witnessed the persecution of Huguenots. Although her father had become a Roman Catholic, her mother remained an Anglican, and the future Lady Elizabeth Southwell could not have been but sensitive religious divisions, diversity and persecution. When she was widowed, Lady Elizabeth married John McNamara, and lived at Cratloe, Co Clare. She died in September 1688. This is social diversity and domestic ecumenism on a scale that shaped the young Thomas Southwell, grandson of ‘Murrough the Burner’ and stepson of John McNamara of Cratloe, near Limerick. 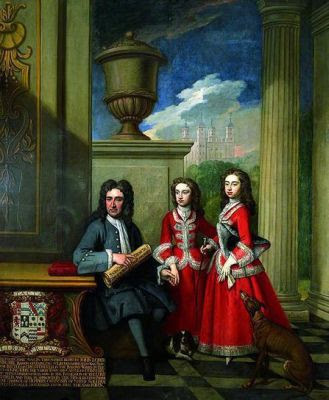 Sir Thomas Southwell had succeeded his paternal grandfather as Sir Thomas Southwell, 2nd Baronet, in 1681, at the age of 16. He was made a ward of his cousin, Sir Robert Southwell, and was sent to Christ Church Oxford at the end of 1681. Buy there is no evidence that he ever graduated or took a degree, and he probably returned to Ireland shortly after. He was 23 when his mother died in 1688. Following the Williamite revolution that year, he raised 100 horse in support of William III, William of Orange. During the war in Ireland between the rival supporters of James II and William III, Thomas fought on the side of William, but he was forced to surrender to a Jacobite force at Loughrea, Co Galway, in March 1689. He was sentenced to death for high treason, imprisoned in Galway, and attainted by the Jacobite Parliament. However, he was pardoned by James II in April 1690, and was allowed to sail for Scotland. Remember that this was still before the Battle of the Boyne, and Thomas was only 24 or 25. As a political prisoner, he seems to have provided financial support for his fellow prisoners. After the wars were over, he was awarded £500 in compensation. Three years later, he was appointed to a commission inspecting crown lands in April 1663, and his political career began in earnest when he was elected MP for Co Limerick in 1695. But, despite this run of events, Thomas was no Whig at this stage in his political carfeer, contrary to what may have been the expectations of many. As an MP, he was identified with the Tory interest, and was a key figure in defeating the attempted impeachment of the Tory Lord Chancellor, Sir Charles Porter. In April 1696, he married Lady Meliora Coningsby (1675-1735), eldest daughter of Thomas Coningsby, 1st Earl Coningsby and Vice-Treasurer of Ireland. But, while he tried to gain public office by using his family connections through his father-in-law, and through his cousin, Robert Southwell, who was Secretary of State for Ireland, Thomas found his Tory sympathies made him suspect and worked against him. Eventually, when he was appointed, Thomas was an active and conscientious revenue commissioner, challenging corruption and idleness among politicians of the day. He was re-elected an MP for Limerick in 1703, and actively resisted efforts by more powerful politicians to extend Whig interests in Co Limerick. But in 1707, he deserted the interests of the former Tory Lord Chancellor of Ireland, Sir Richard Cox, and switched his allegiance to the Whigs. But his greatest achievement and contribution to political, social and economic life was his instrumental role in bringing French-speaking and German-speaking Protestant refugees, Huguenots and Palatines, to settle in Ireland. This role is linked to his part in promoting the linen industry in Ireland. The Irish Parliament appointed him a trustee for the linen industry, and he assisted the French Huguenot Louis Crommelin, to establish the linen industry in Lisburn, Co Antrim. Southwell championed the Palatines, secured government support for the settlement venture and took care of many of their initial needs at considerable personal expense, being reimbursed only just before his death. In 1711, only 10 of the original Palatine families who had arrived in 1709 remained on his estate. But by 1714 he had settled about 130 new families on his lands, and to this day the neighbourhood around his demesne in the Rathkeale are has the largest concentration of the descendants of Palatines who moved to Ireland. Southwell remained a Whig after the Hanoverian succession in 1714, and was re-elected an MP for Co Limerick in 1715. That the said Sir Thomas Southwell, having set down 130 German Protestant families on his estate in County Limerick in or about Michaelmas 1712, and for their encouragement to settle and be a security to the Protestant interest in the country, he (the said Sir Thomas Southwell) set them his lands at almost one half of what it was worth, and gave them timber also to build their houses to a very great value; and for their further encouragement did from time to time supply them with cash and other necessities. That all these families are since well settled and follow the raising of Hemp and Flax and have a good stock which the said Sir Thomas Southwell (though very unwillingly) must seize upon to reimburse him for his great expense, unless His Majesty will be graciously please to repay Sir Thomas. On 4 September 1717, 300 years ago, he was made an Irish peer with the title as Baron Southwell, of Castle Mattress, in the County of Limerick. Southwell died at Dublin on 4 August 1720 and was buried here in Rathkeale, probably in a crypt under the present church. 1, Thomas Southwell (1698-1766), his eldest surviving son, succeeded to his titles and estate. 2, Henry Southwell (died 1758), his second surviving son, lived at Stoneville, near Rathkeale. He too was an MP (1729-1758), and his wife Dulcinea Royse was the daughter of the Revd Henry Royse of Nantenan. 3, Robert Southwell, his third surviving son, was killed in a duel on 30 May 1724. 4, Edmund Southwell, his fourth surviving son, married Agnes Anne Studdert, daughter of the Revd George Studdert. 5, The Revd Richard Southwell, the fifth surviving son, was the Rector of Dungourney, Co Cork. 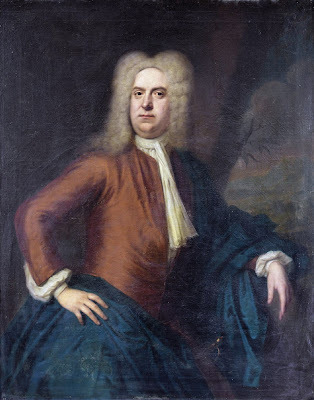 The eldest son, Thomas Southwell (1698-1766), 2nd Baron Southwell of Castle Mattress, was MP for Leitrim (1717-1720) until he succeeded his father as the 2nd Lord Southwell of in 1720. He was Governor of Limerick around 1762. 2, Thomas George Southwell (1721-1780), 1st Viscount Southwell of Castle Mattress. He died in London, and he was succeeded in his titles and estates by his only surviving son. Thomas George Southwell (1721-1780), 1st Viscount Southwell of Castle Mattress, 3rd Baron Southwell, and 4th baronet, was born on 4 May 1721 and was educated at Christ Church, Oxford, and Lincoln’s Inn, London. He MP for Enniscorthy, Co Wexford (1747-1761), MP for Co Limerick (1761-1766), High Sheriff of Limerick (1759), Constable of Limerick Castle (1750-1780) and Governor of Co Limerick (1762-1780). He succeeded as the 3rd Baron Southwell in 1766, and was given the additional title of Viscount Southwell of Castle Mattress, Co Limerick. It may have been to mark this occasion that he presented a pair of Communion vessels, a silver chalice and paten, to Holy Trinity Church, the Church of Ireland parish church in Rathkeale in 1769. He died on 29 August 1780 at age of 59. 1, Thomas Arthur Southwell (1742-1796), 2nd Viscount Southwell. 2, Lieut-Col Robert Henry Southwell (1745-1817). 3, Meliora Southwell, who married John Brown, of Danesfort and Mount Brown, Rathkeale, a son of the Ven John Brown, Archdeacon and Chancellor of Limerick. Their second son, John Brown, was ancestor of the Southwell Brown family, who effectively took over the administration of the Southwell family estates and interests in the Rathkeale area. The eldest son, Thomas Arthur Southwell (1742-1796), 2nd Viscount Southwell, was MP for Co Limerick (1767-1768). In 1774, he married Sophia Maria Josepha Walsh (1757-1796), third daughter of François-Jacques Walsh (1704-1782), Comte de Serrant, one of the Irish ‘Wild Geese’ in France, descended from an old Catholic family of Jacobite exiles, originally from Co Kilkenny, who had fled Ireland after the Siege of Limerick in 1690. Thomas and Sophia were the parents of four sons and four daughters. The family title and estates passed to their eldest son, Thomas Anthony Southwell (1777-1860), who became 3rd Viscount Southwell in 1796. He married Jane, daughter of John Berkeley of Spetchley, and they became Roman Catholics. His sisters also married members if two prominent Catholic families in Co Meath: Mary married Jenico Preston, 12th Viscount Gormanston, and Paulina married Richard O’Ferrall-Cadel. They were joint owners of vast estates in England that came to almost 3,000 acres, but Lord Southwell only visited his English estates on a few occasions, and then to shoot pheasants. He spent the rest of the time in Ireland, London and the south of France. They had two sons and three daughters, but neither of their sons survived to succeed to his titles or the estates. And so, to continue the family line of succession, we turn to his younger brother, Colonel Arthur Francis Southwell (1789-1849). He too married into a prominent Catholic family when he married Mary Anne Agnes Dillon, daughter of Thomas Dillon of Mount Dillon, in Paris in 1834. 2, Thomas Arthur Joseph Southwell (1836-1878), who succeeded his uncle as 4th Viscount Southwell. 3, Jane Mary Matilda Southwell (1838-1910), married John David Fitzgerald, Attorney-General of Ireland. 5, Mary Paulina Anne Southwell (1842-1891), married Field-Marshal Sir Henry Evelyn Wood. 6, Margaret Mary Southwell (1844-1916), married Charles Standish Barry. By the early 1800s, Castle Matrix, the home of Sir Thomas Southwell, was being used to manufacture linen and a flour mill was added. Samuel Lewis notes in 1837 that that the flour mill at Castle Matrix ‘has been fitted up by the proprietor J. Southwell Brown esq in the most complete manner’ and that the Elizabethan square castle was being repaired. John Southwell Brown held Castle Matrix from Lord Southwell. In the mid-19th century, the buildings including the flour mills were valued at £90. Thomas Arthur Joseph Southwell (1836-1878) became 4th Viscount Southwell in 1860 on the death of his uncle Thomas Southwell, 3rd Viscount Southwell. He was Lord Lieutenant of Co Leitrim in 1872-1878. This Lord Southwell married Charlotte Mary Barbara Mostyn, daughter of Sir Pyers Mostyn, a member of a leading Roman Catholic family in North Wales. In the 1870s, Lord Southwell was the owner of 4,032 acres in Co Limerick, 2,252 acres in Co Cork, 329 acres in Co Kerry, 1,147 acres in Co Donegal and 4,017 acres in Co Leitrim in the 1870s. By the 1930s, the castle was abandoned and became a ruin, with wild plants and trees growing within the old stone walls. Today, the castle and lands in Rathkeale have long passed from the family, but the titles are held by Pyers Anthony Joseph Southwell, 7th Viscount Southwell (born 1930), who succeeded his uncle in 1960. The heir apparent is his son, the Hon Richard Andrew Pyers Southwell (born 1956). It is interesting because it came in stages, with a number of family marriages indicating the Catholic sympathies of the family long before formal conversion. And these family connections, generation after generation were far more influential than the Oxford Movement and the Tractarians, who had influenced the decisions of many of their social class in this part of Co Limerick. This shift in Church identity may help to explain why earlier I wanted to emphasise the direct link with and possible lasting influence of Thomas Southwell’s grandfather, Murrough ‘the Burner’ O’Brien, Lord Inchiquin, who had been an ardent Anglican but became a Roman Catholic while he was in exile in Paris with the Caroline court in the 1650s. That relationship, and that change in Church identity or membership also show how the Southwells were embedded in society in this part of Ireland. Despite their ancestry in the male line from English minor gentry, they were part and parcel of the nexus of old Irish chiefdom families in this area, through their immediate descent from the O’Briens and their kinship with families such as the McNamaras of Cratloe. In their entries in Burke’s Peerage and similar genealogical tomes, they were now seeking to construct, in a very awkward and ham-fisted way, not just a more ancient lineage that found its origins in rural Nottinghamshire rather than Essex and East Anglia, but also trying to recover a kinship with the young Elizabethan Jesuit poet and martyr Robert Southwell. Long-tailed Catholic credentials had become more important than rustic English roots in a new elitist understanding of lineage and aristocracy. Nor can these Catholic conversions be dismissed as being merely superficial or socially convenient at a time of social change and upheaval in Ireland. Their Catholic identity has been passed on to successive generations, so that to this day male members of the family sent to Catholic public schools in England such as Ampleforth. Nor did these conversions incur any loss of social status for a family like this – indeed, quite the opposite. The family was embedded in the Irish Catholic aristocracy, through marriage, for example with the Prestons of Gormanston Castle in Co Meath. It was an experience that they shared with many in their social group in Co Limerick society – consider, for example, Edward Wyndham-Quin 3rd Earl of Dunraven, the de Vere family of Curraghchase, and William Monsell, 1st Lord Emly. There were consequences for this parish, needless to say. There are few Southwell family graves in Rathkeale parish. Only one Southwell monument is in the church, and this was moved from the old church to the new church. 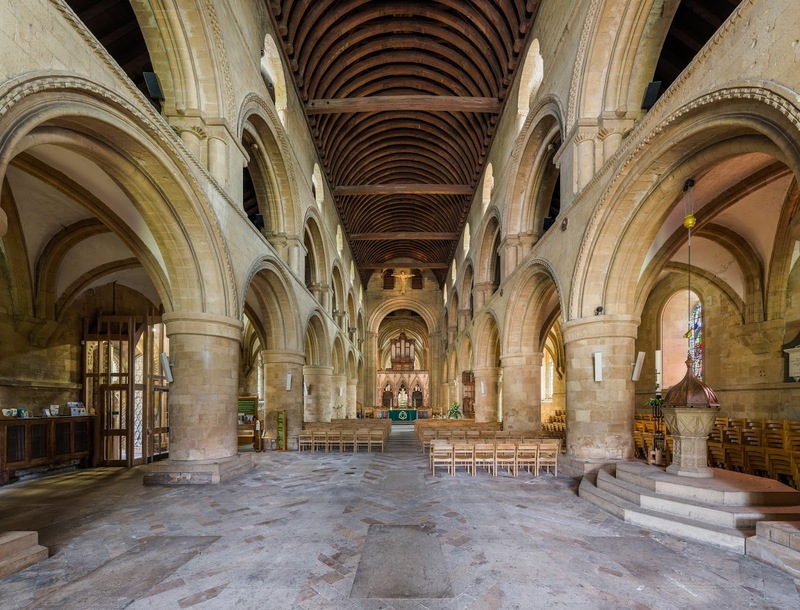 There may have been a Southwell vault, but the church was rebuilt in 1831, and we would probably need to bring a post-graduate archaeology student to work on the church floor to see how many of the Southwells are buried there. The church looks quite a poor church when you consider that this was once the largest commercial town in West Limerick and when you compare it with other, better-built Church of Ireland parish churches on the estates of landed aristocrats. Instead, the Southwells put their interests and their capital into helping to pay for a new Roman Catholic Church in Rathkeale. This was a time when the de Vere and Spring-Rice family brought in JJ McCarthy to build a new Gothic revival church in Foynes, when the family of William Smith O’Brien brought the same architect in to remodel Cahermoyle House, and when the Earls of Dunraven were remodelling the parish churches in Adare. Yes, they did build such an ‘estate church’ – but it is Saint Mary’s Roman Catholic Church, built by JJ McCarthy, the most prestigious architect of the Gothic Revival in the Victorian era, who claimed the mantle of AWN Pugin. And they built it proudly, on the hill that makes it the single most noticeable landmark as one arrives into Rathkeale from Limerick. The saints that are painted in the reredos represent names in the family. 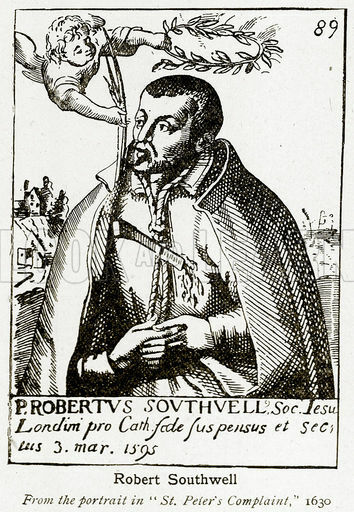 Although Robert Southwell would not be canonised until 1970, another Saint Robert was found to take his place, upholding the church in his arms. The Mostyn family were leading Roman Catholics with large estates across North Wales and elsewhere, including commercial, residential and agricultural holdings in Llandudno. Long after these windows were completed, her younger brother, Francis Edward Joseph Mostyn (1860-1939), became the Roman Catholic Bishop of Menevia (1898-1921) in Wales and Archbishop of Cardiff (1921-1939). Marcella Mary Agnes Southwell was born in Paris while her parents were living there. Her individual coat-of-arms is shown in a diamond shape to indicate she never married. John David Fitzgerald (1818-1889), Baron Fitzgerald, was MP for Ennis (1852-1860), Solicitor General, Attorney General for Ireland and a law lord. Jane Mary Matilda Southwell was his second wife. He was the presiding judge at the trial in Dublin in 1880-1881 of Charles Stewart Parnell and 21 other prominent members of the Land League. Field Marshal Sir Henry Evelyn Wood (1838-1919) was a distinguished army figure, and a recipient of the Victoria Cross (VC). The Southwell family opposed this marriage in 1867 when Wood refused to leave the Church of England and become a Roman Catholic. There may have been further family embarrassment later, for Wood’s sister Katherine is better known as Kitty O’Shea, the lover of Charles Stewart Parnell. Margaret married Charles Standish Barry, a wealthy Co Cork landowner, whose uncle, Garrett Standish Barry, was the first Catholic to be elected a Member of the Parliament after the 1829 Emancipation Act. The Irish Palatine Weekend is taking place this weekend in Rathkeale, and is one of the many events organised in affiliation with this year’s Heritage Week, and I am speaking at the conference later this morning. The conference is being hosted by the Irish Palatine Association. It began last night [25 August 2017] and continues until Monday [28 August 2017]. In 1709, several hundred families of German origin settled in Ireland. Known as the Palatines, they established roots mainly in counties Limerick, Kerry, Tipperary and Wexford. From there, they emigrated to many parts of the English-speaking world including Australia, Canada, England, New Zealand and the US. Padraig O’Concubhair is a retired National School principal teacher from Ballylongford, Co Kerry. He is the author of several books on local history, including A Remote Outpost – The story of the Methodist Society in Tarbert, Co Kerry and St Brendan’s Church of Ireland Tarbert 1814-2014 – 200 years of change. Milo Spillane is a retired secondary teacher. He was born in Co Mayo, and has lived in Co Limerick for most of his life, in Adare for a number of years and now in Croom. He has a keen interest in local history, and received his PhD from the University of Limerick in 2003 for his study of the life and times of the 4th Earl of Dunraven (1841-1926). After a light lunch at the Rathkeale House Hotel, there is an afternoon tour of east Limerick where a secondary colony of Palatines from Rathkeale settled on the Castle Oliver estate. Highlights associated with the Irish Palatine story include be Margaret Alton’s cottage and the Church of Ireland church in Kilflynn. The tour also plans to visit the stone circle at Lough Gur, one of Ireland’s most important archaeological sites. Later this evening, the conference dinner is at the Old Bake House in Bruff. The Palatine Museum at the Old Railway Buildings, Rathkeale, is open tomorrow morning [Sunday 27 August 2017]. This is an opportunity to view and hear the stories behind the exhibits in the museum and explore the books in the library. Later in the morning, the conference delegates have been invited to take part in the Parish Eucharist in Holy Trinity Church, Rathkeale, at 11.30 a.m., when I am presiding and preaching. The Church of Ireland Community in Rathkeale has had an association with the Irish Palatine settlements since their arrival in 1709, and coffee/tea and sandwiches are being provided in the schoolhouse after the service. Later tomorrow afternoon, there is a bus tour of the parent Palatine colonies in Courtmatrix, Killeheen and Ballingrane. On Monday [28 August], there is an organised visit to Foynes Flying Boat and Maritime Museum. Foynes was the centre of the aviation world during the flying boat era of the 1930s and 1940s. The conference is open to members of the Irish Palatine Association and friends. The full programme including accommodation costs €411 (sharing), €462 (single) and €280 (without accommodation). Lectures only are free to attend, but a donation would be appreciated.